An application that automates survey questionnaire and advise targeted for car maintenance. 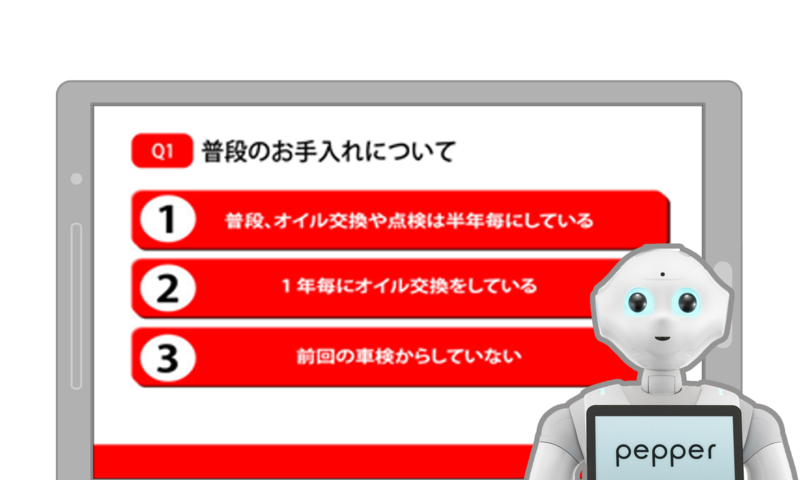 Pepper provides assistance to customers based on answers selected by users on its tablet display. The application will then suggest necessary actions based on this response. Then, the survey results are sent to the user's email and will automatically be tallied in the back-end process of the application. A robot application designed to serve similar to the work of a front desk staff. 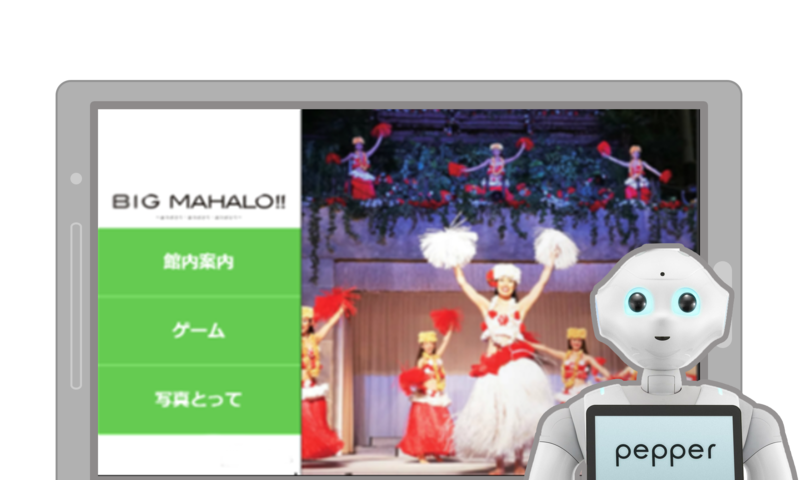 Pepper will show its way around the resort by providing a map to a desired location as well as assist the guests in giving out information on the resort's various services, stores, and facilities. Guests may interact with Pepper while Pepper may entertain them through mini games. Moreover, Pepper takes souvenir photos to capture a guest's memorable stay at the resort. Pepper is designed to explain various products in an exhibit. Pepper invites people to visit the booth and then gives detailed explanation about various products of the company. Pepper also provides entertainment by conversing and interacting with the people gathered around it. Pepper is designed to play the music video as well as the lyrics of a song selected through voice recognition. The application also displays a list of the top ten songs of particular artist, as well as the top ranking songs for the day, week, or month. 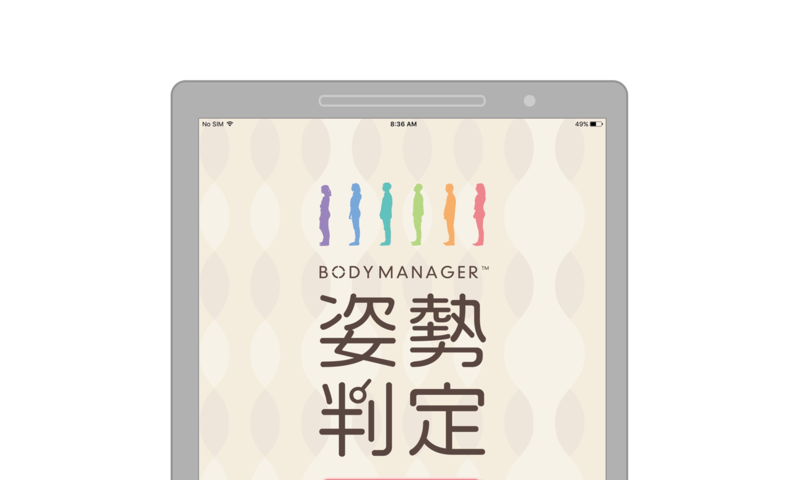 An iOS application that lets customers customize beds and pillows depending on their body characteristics and preferred rigidity. The app captures a photo of the subject in lying or standing position. After analyzing body structure, it generates and proposes bed type and pillow preference suited for the customer. Copyright Rococo. All rights Reserved.